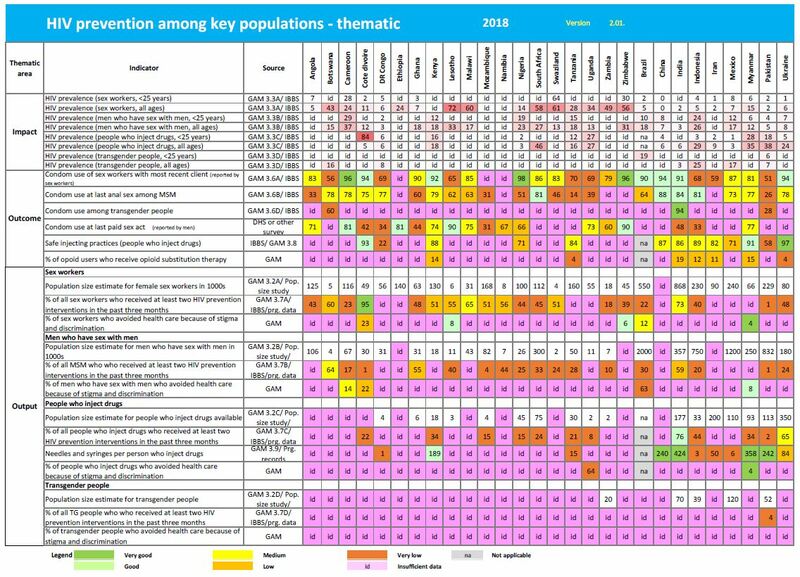 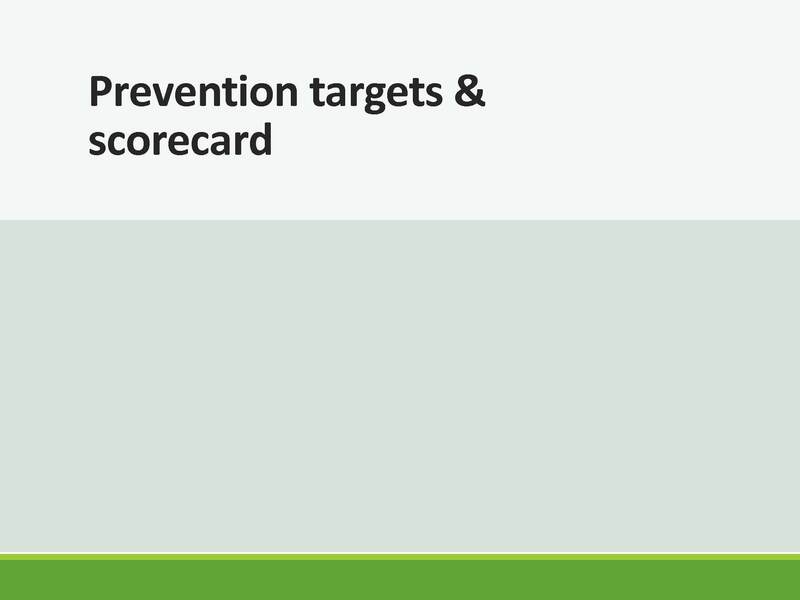 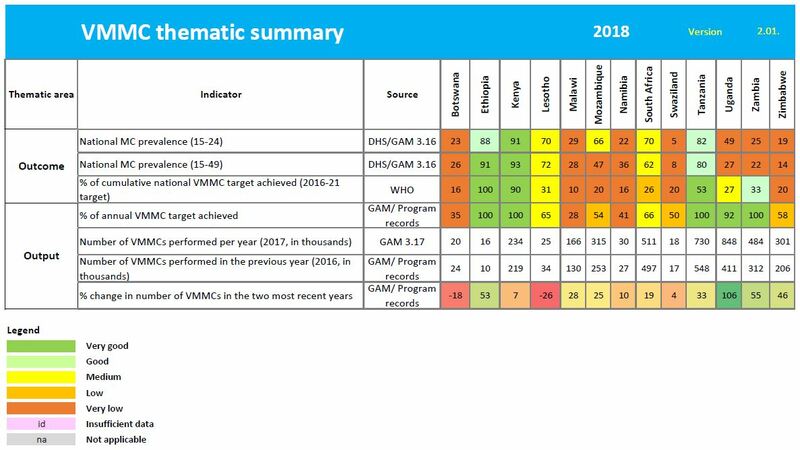 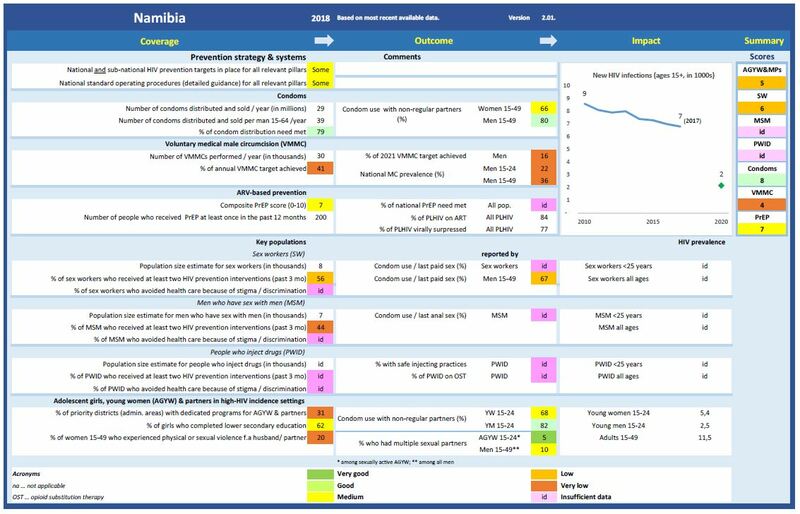 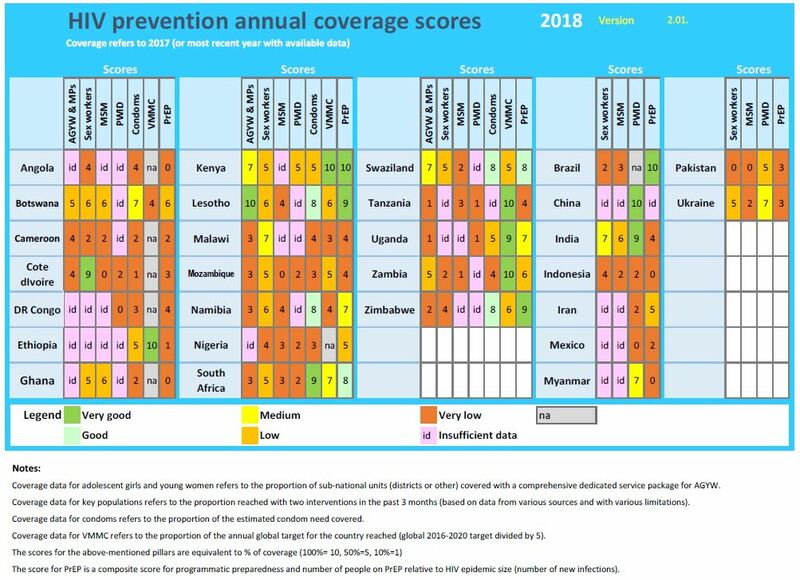 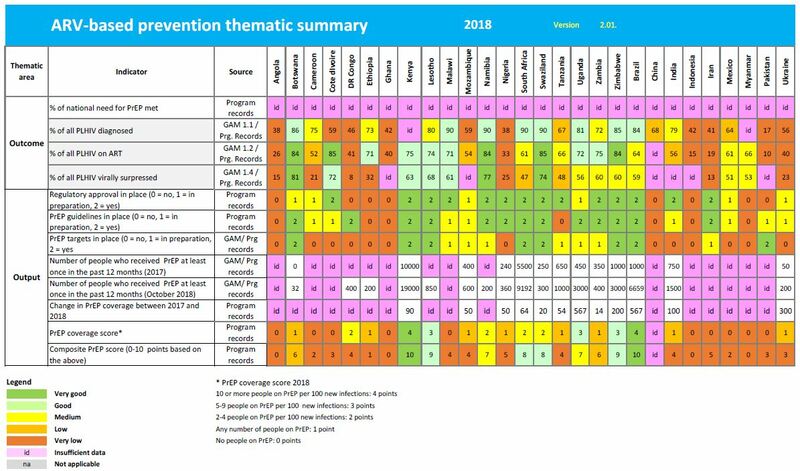 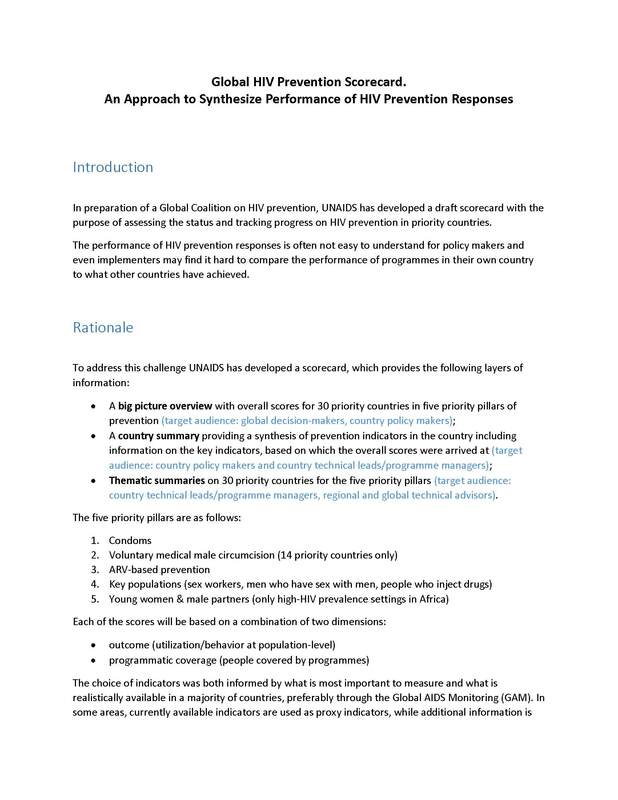 The prevention scorecards aim to measure and track prevention progress in the priority Fast-Track countries, including on indicators for each of the five prevention pillars, namely adolescent girls and young women, key populations, condoms, voluntary medical male circumcision (VMMC) and pre-exposure prophylaxis (PrEP). 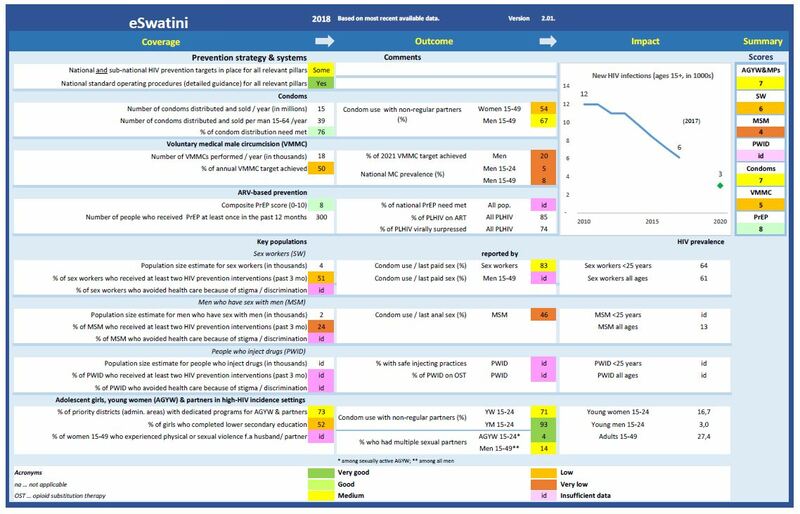 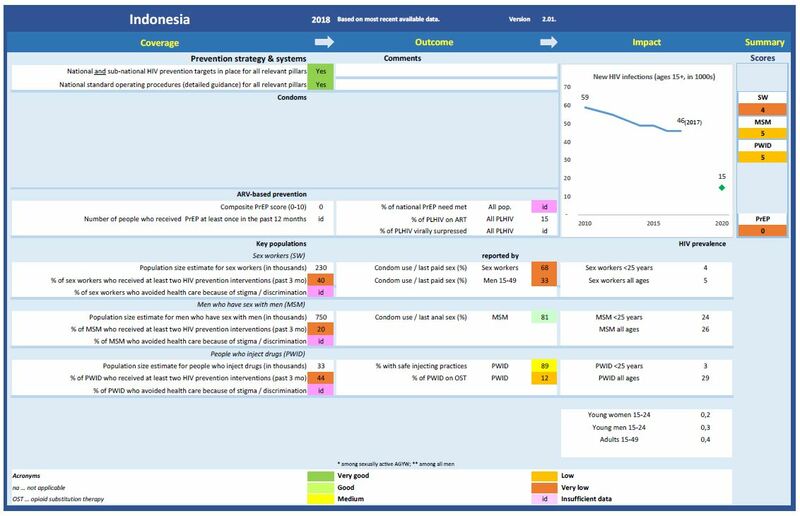 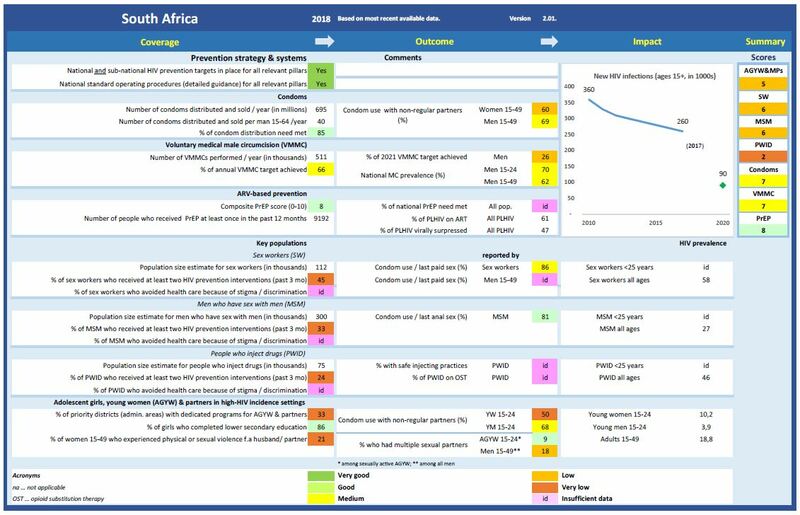 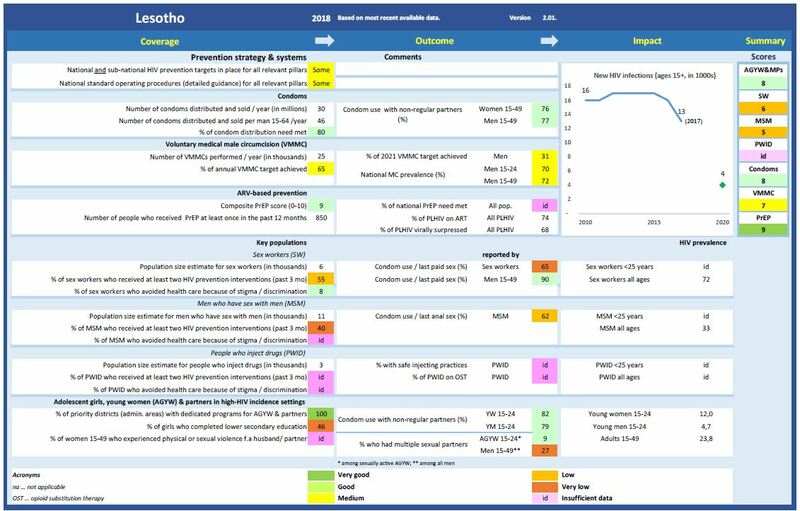 Each score is based on a combination of two dimensions: outcome (service utilization/behaviour at the population level), and coverage (people covered by programmes). 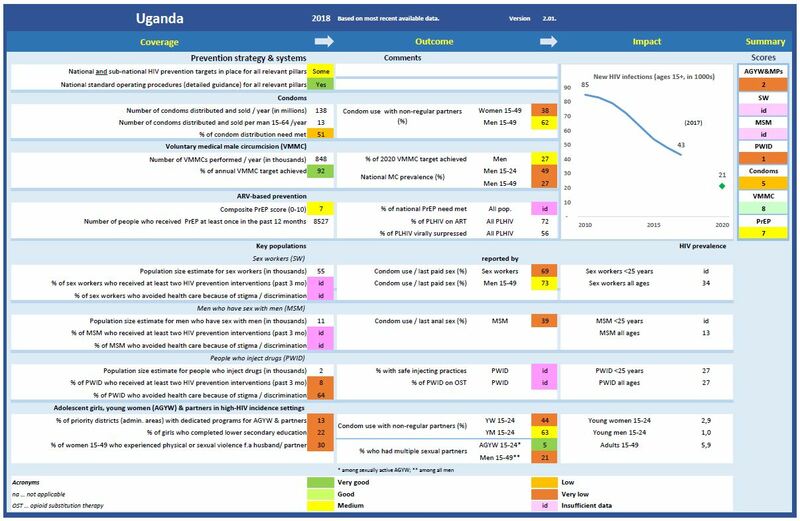 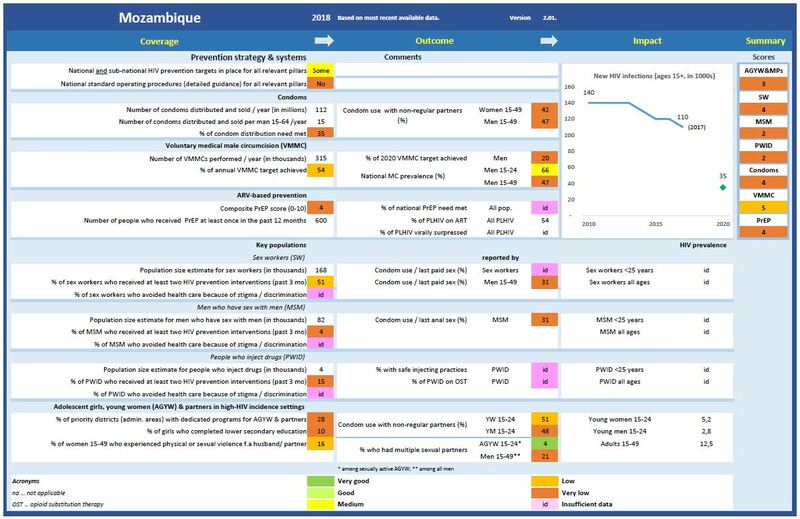 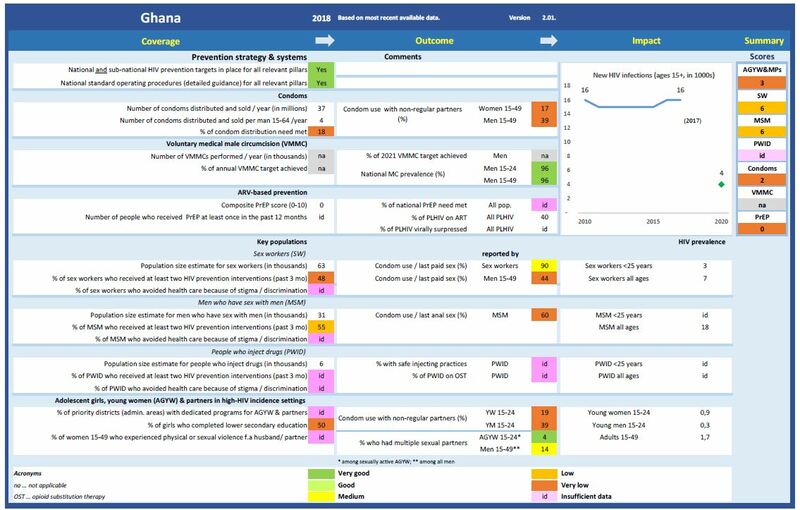 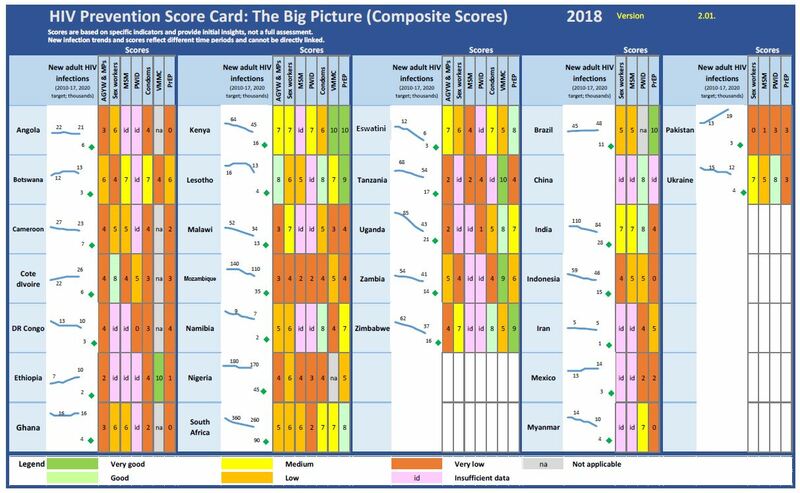 The score card seeks to summarize existing data on prevention progress, provide an orientation and be an entry point for comparison, stimulate learning from high-performing programmes and encourage digging deeper into issues of supply, demand, structures and data at the subnational level.